Bunkai generally is the application of a martial technique (found in “kata”). One of the most common ways martial training goes wrong is when the student has no real understanding of how the technique is actually applied. Being able to execute a martial skill without knowing how it is really used is like a carpenter having a great set of tools but not knowing what you can build with them or how. Being able to apply the moves you know is what makes you a real martial artist rather than a person who knows a few rote memorized martial arts moves. Bunkai is supposed to be taught but many times it is not. Many martial artists have not heard the term. 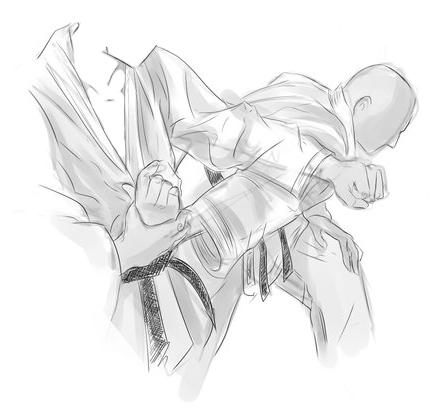 Even instructors that try to teach Bunkai many times do not have a full understanding of proper application (as in how to use your technique so it works under real life conditions). Most “Budo” arts (martial ways or martial sports) are unrealistic for actual usage. They are not supposed to be that functional anymore because they are now a sport art (MMA, Boxing, Wrestling, BJJ etc.) or they are a Do art (Karate-do, Tai kwon do etc). If you needed to defend yourself you would be facing a situation where an attacker was trying to physically harm you in one of several ways: by striking you, throwing/slamming you down, choking/locking, grabbing/restraining you or by using various weapons against you. If you want to be able to defend yourself these types of attacks are what you need to be able to handle. Part of the challenge to developing good usage of the skills is the methodology by which most martial arts classes are commonly taught. A martial way class is usually taught using lots of “hands off” solo training drills with some no contact or light contact work added in. So you are spending a lot of the class time doing Kata (solo martial forms training) where you are striking air, “line drills” (more striking air), maybe some light target work, some “one step sparring” (2 person preset drills), maybe some point sparring. There is nothing wrong with these training methods for learning to have techniques that have good form but they don’t teach function well. You can bang a nail in with a wrench but it is better and easier to use the proper tool and use a hammer. Sport martial arts are better than martial ways for self defense purposes because they include a lot of “hands on” drills and training. The training methods get you prepared for contact and (depending on which sport you take) used to dealing with people striking at you, throws, grappling etc. But they are a sport and you are training to win at the sport using that sports rules. So in a defense scenario you are facing a street criminal who is trying to hurt you (and is 60lbs bigger and is 4 inches taller) and you are trying to sport fight him -Just like you have trained to. Rather than fighting him with the functional fighting technique (targeting his weakest body areas) you are trying to go 3 rounds with him in the Publix parking lot using “safer” (aka less functional) sport fighting techniques. Triangle chokes and spinning hook kicks are good techniques, and will help with your skill building, but they are not the best idea for street defense. Remember most of the techniques the rule book says can’t be used in competition were outlawed because they work too well. There is nothing wrong with martial ways and martial sports. They are a lot of fun and they can teach good form. They are a great place for kids to start in the arts as well. But they are no longer fighting arts. They are not supposed to be and you should not expect them to be. Give Bunkai some thought. If you have trained in some martial arts think about if what you know really makes sense for self defense.